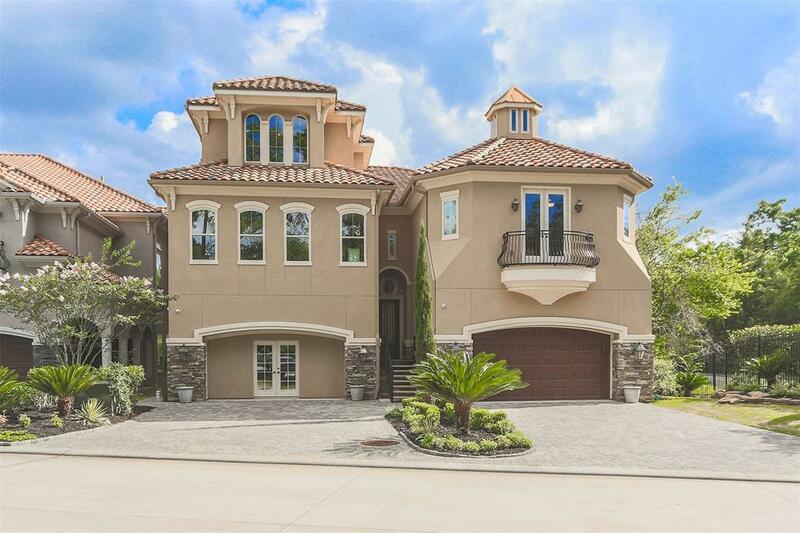 This waterfront haven in the gated community of La Vie Villas is a true masterpiece, offering direct waterway access to Lake Conroe and beautiful water views. Featuring an open floor plan with hardwood and travertine tile flooring, coffered ceiling, granite countertops, and crown molding throughout. The island kitchen is a chef’s dream with a copper farmhouse sink, Sub-Zero refrigerator, Wolf gas range and microwave, custom cabinetry with soft close drawers, corner pantry, and wet bar with Thermador wine refrigerator. The master suite boasts a private balcony, tray ceiling, French doors leading into the private study, seating area, walk-in closet with built-in shelving, dual vanities, Kohler freestanding tub, and spacious shower with a rainfall showerhead. Spend your weekends relaxing or entertaining on the covered lanai with outdoor kitchen, fireplace, and water views.